The Forces come together on the Rogue One 10” Picture Disc. 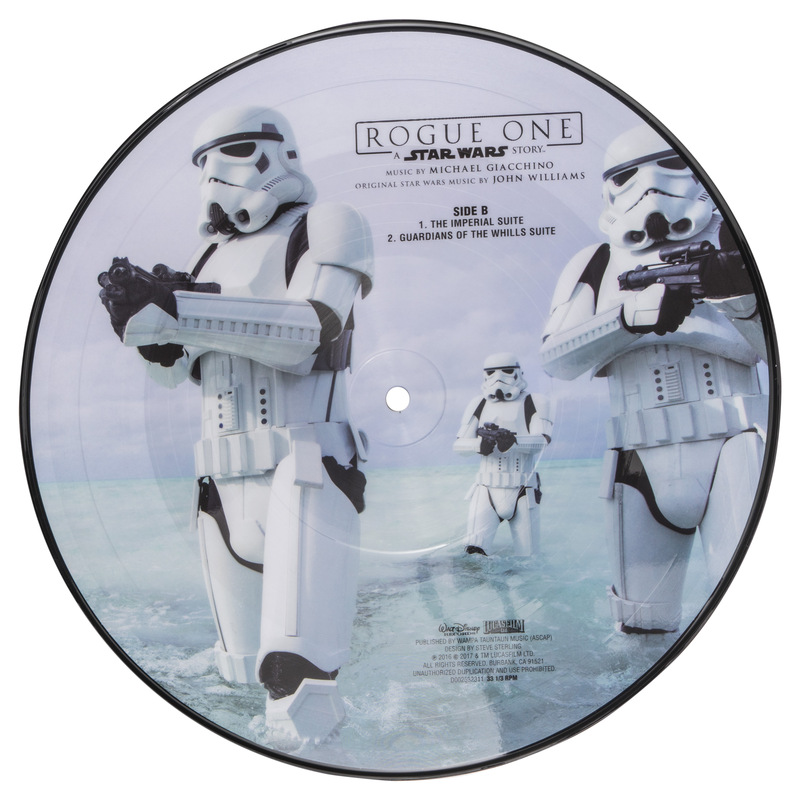 A Disney Music Emporium exclusive, this picture disc features the Imperial Death Troopers (Side A) and Storm Troopers storming the beach at Scarif (Side B). 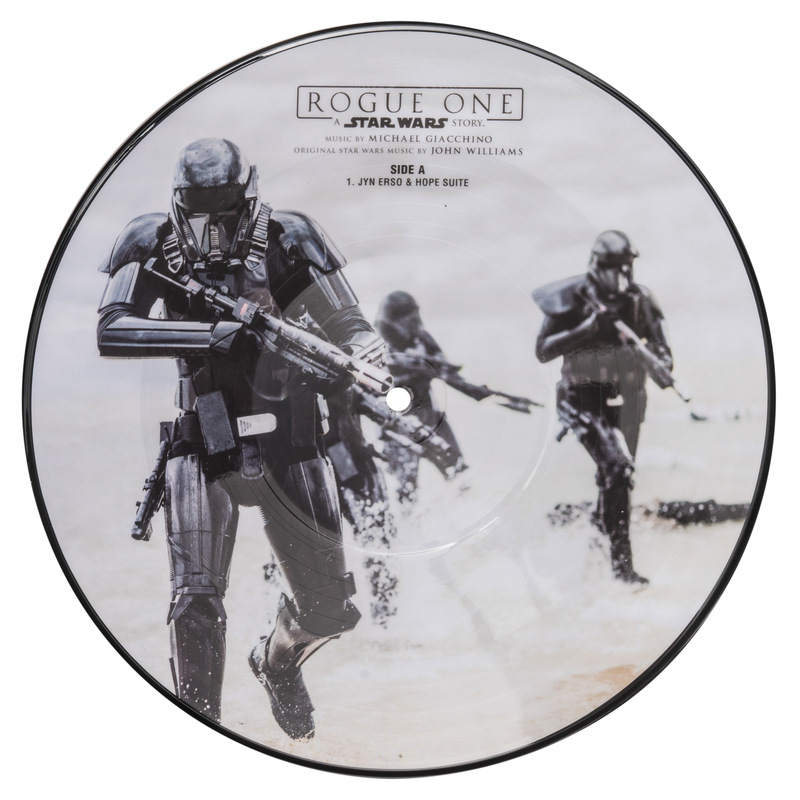 Includes three tracks from Michael Giacchino’s captivating score to Rogue One: A Star Wars Story.